Resilience within one can inspire resilience within another. This has always been the cornerstone of One Summit’s mission and programs, whether it be Climb for Courage or any of the organization’s many year-round community events or initiatives. Yet, perhaps more than any other year, this year’s Boston Marathon reminded us of the incredible power of resilience and how one’s commitment to “Never Give Up” in the face of adversity can inspire others to adopt the same mindset in overcoming their own challenges. 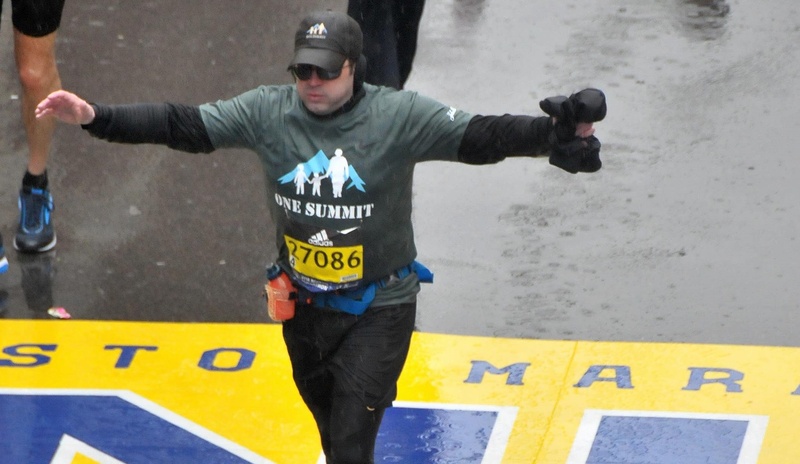 But who inspired resilience in who at this year’s Boston Marathon? The answer to this question isn’t as simple as it may initially appear. 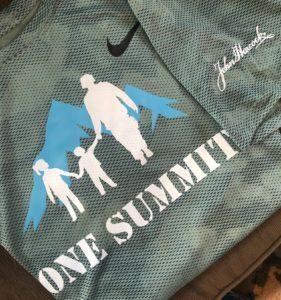 As each of One Summit’s six runners ran in honor of a previous Climb for Courage little warrior, the most likely answer would be to say that the runners inspired their family match. But, after speaking with each runner following the race, it became clear that the opposite may actually have been the case. 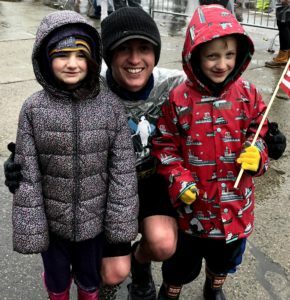 Each runner expressed how enduring 26.2 miles of rain, wind and freezing temperatures would not have been possible without the support and inspiration of their family match. Chris and other runners got all the inspiration they needed prior to and during the race. 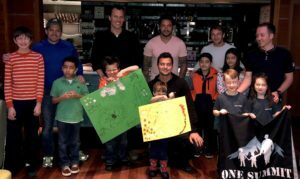 At One Summit’s annual Boston Marathon Poster Party the day before Marathon Monday, each little warrior shared their story of resilience and designed posters for their runner. And during the race, just as doubts started to enter each runner’s mind, they were met with cheers and support from their family match. 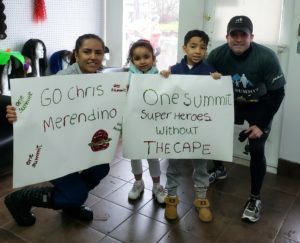 The cheering was loudest just after Mile 17, where families were welcomed by the Newton Fire Department and given the opportunity to reunite and join together in encouraging all of One Summit’s runners to finish strong. Thanks to their little warriors, Ryan and the rest of the runners were reminded why they couldn’t give up. In the end, isn’t that all we need to continue in our fight? It’s not too late to support our team of runners through the John Hancock Nonprofit Marathon Program. Help us reach our goal of raising $75,000 for our Climb for Courage programs in San Diego, Boston and New York City. Thanks to our team of runners, you are our inspiration.